We are a top ten department. Buckingham English is ranked 9th out of the 105 English departments in the UK. (See Guardian University Guide 2019: league table for English & creative writing.) We score particularly highly for staff: student ratio, teaching quality, student satisfaction, and quality of feedback. This is a friendly place to study. Students are taught directly by our specialists in literature, language, and journalism, taking advantage of the excellent research culture. 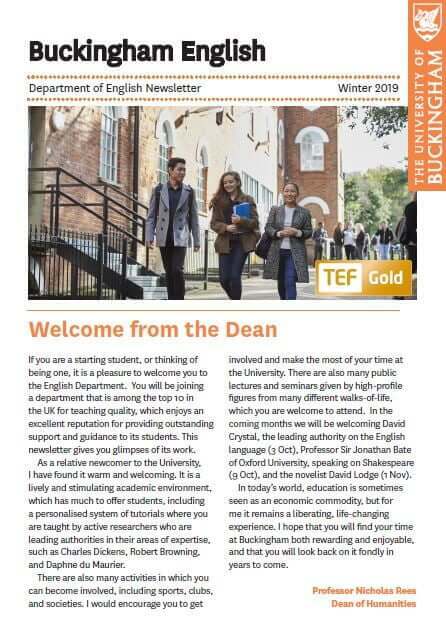 For recent news, please see the Buckingham English Newsletter. If you have a question before applying or would like to arrange a campus visit, please contact English Admissions. For more general English Department enquiries, please contact the Department Secretary. The Department offers Creative Writing courses which are available to outside students on a one-off basis. One of the many reasons for studying a degree in English is to become a first-rate writer, whether for intellectual, creative, or professional purposes. Few write good prose. We encourage all our students to become professional-level writers. See our Writing Guide, which is useful for those still at school. For help with your GCSE and AS-level work, see Resources for Schools. Students at all levels will benefit from the excellent suite of advice pages offered by the Royal Literary Fund. 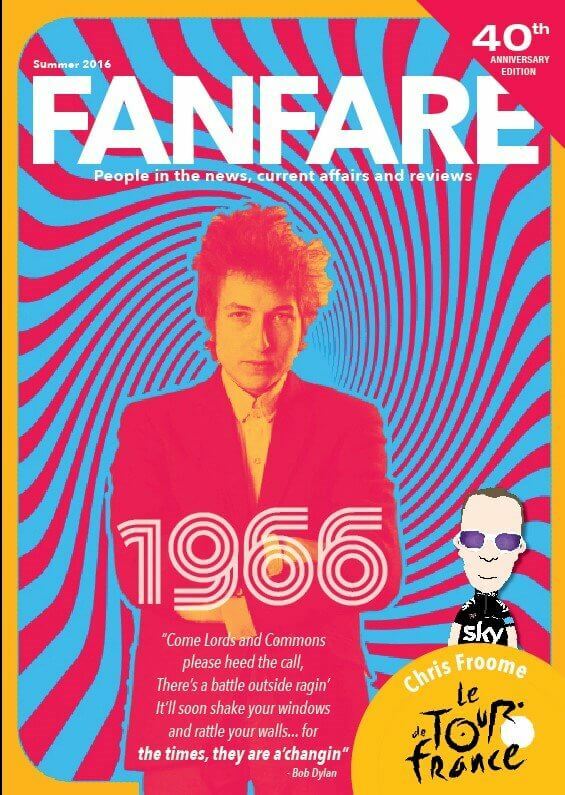 Media students make TV and radio programmes every week and publish our groundbreaking magazine Fanfare. All journalism courses are practice-based learning experiences.